We offer string quartets for weddings in every corner of the UK and our string quartets will set the tone of the occasion. A string quartet sets an elegant and classic tone for any event particularly a wedding or formal event which requires the music to be subtle and gentle without offsetting the occasion. We represent the best String Quartets for weddings in the UK. Imagine a picture where you are walking down the aisle to the sweet sound of 2 violins, a viola and a cello playing your favourite set of songs which were dedicated specially to you and your fiancé. A string quartet is not only a classic choice but it is also the perfect choice to keep the event elegant and graceful. The music is soothing and pleasurable and works as both a focus and as sophisticated background music. 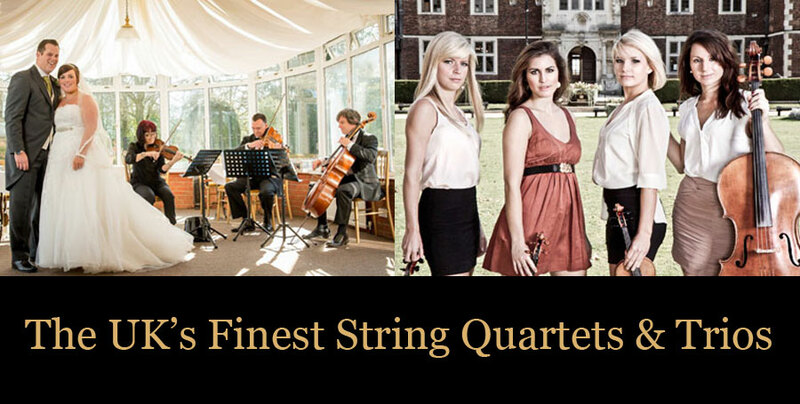 We have over 100 string quartets for weddings in the UK so are perfectly placed to find you the perfect act and we represent some of the finest string quartets around. 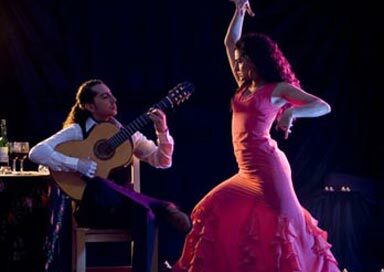 We also offer string duos and string trios who can perform old timely classics to current modern romantic songs idyllic for stirring the passion and romance between you and partner on your special day. Our modern string quartets consist of accomplished musicians who are well versed in the present day cover songs belonging to a variety of favourite artists and their repertoire is not only extensive but is also all embracing of classics and present songs. You can even request for special songs which you want to be played during the event as well as choosing a specific song for your wedding ceremony. Make your wedding or event special and hire one of our string quartets for weddings today!